Beyoncé has dropped a bombshell! No.. it wasn’t an album but another bundle of joy coming our way. It seems the question on all of our minds is why is our favourite diva wearing a veil in her announcement photo? Posting on the infamous Instagram site, Beyoncé delivered a highly concept photo which gathered millions of viewers and likes within the hour. The location of the image, unknown, but we can definitely see a resemblance from the pop singers bodily position and use of props. Why is this so important, and why would instagram be the outlet for her surprise drop? Lets discuss together! Veils are used for special events and always featured in pure white. Looking at the photo, there seems to be some historical evidence! Just as we suspected! 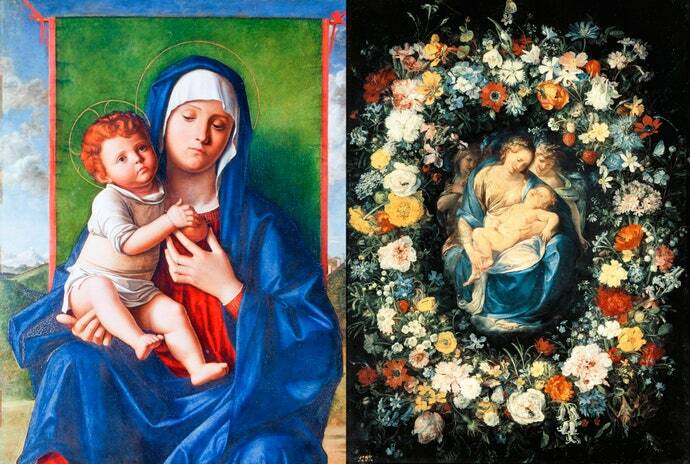 Above, we see the Virgin Mary with Jesus Christ surrounded by a luscious floral wreath. Similarly, Beyoncé’s photo shows how we can relate the celebrity to a saint. Coincidence? The veil symbolises purity and innocence as the Bride walks down the aisle face-covered from the fabric. Beyoncé reinforces that image but with a slight change in colour choice. The green veil worn by the celebrity could provoke a more naturalistic concept, rather than holistic. Let’s face it, Beyoncé is not a virgin! With the combination of floral pieces surrounding the ground and the wreathe of flowers, is there anything else to pick? Sure! Beyoncé, wears a burgandy bra and powder blue bikini bottoms that are somewhat relevant to the Virgin Mary’s attire. 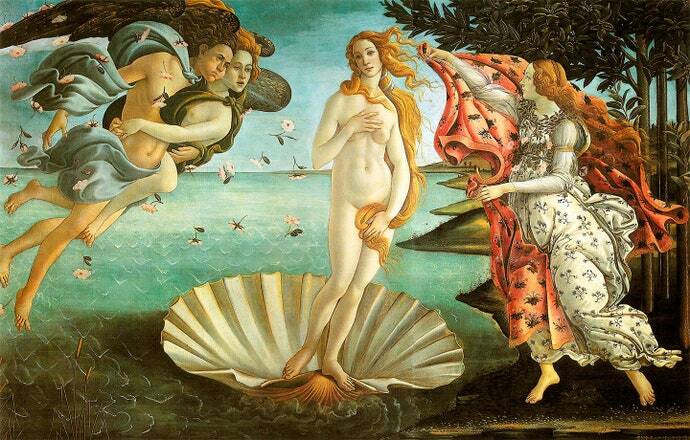 Exhibit B, The Birth of Venus! Beyoncé dons the ‘mother carrying child’ pose which could also be reinterpreted to another historical work of art. With the use of warm colour tones, both images show the similarity between the women’s body positions. Over the years, Beyoncé has broken cultural boundaries to prove how strong women all over the world can be. Could these religious images be the cause for her primary focus? Who knows! The 35-year-old star shared the news on Instagram by posting a photo of herself holding her bare pregnant belly. The image was an instant, internet-breaking hit. Beyoncé’s mother, Tina Knowles, shared her daughter’s pregnancy news with the same photo! The question we ask, why post on instagram? Here is what we think. With the first pregnancy rumour about daughter Blue Ivy, the world stopped and pondered whether it was really true. By a direct photo post from the Queen Bee herself, this allowed us to see everything from the celebrity without any doubt or false accusations. Excited to witness the birth of twins? Tell us your thoughts!